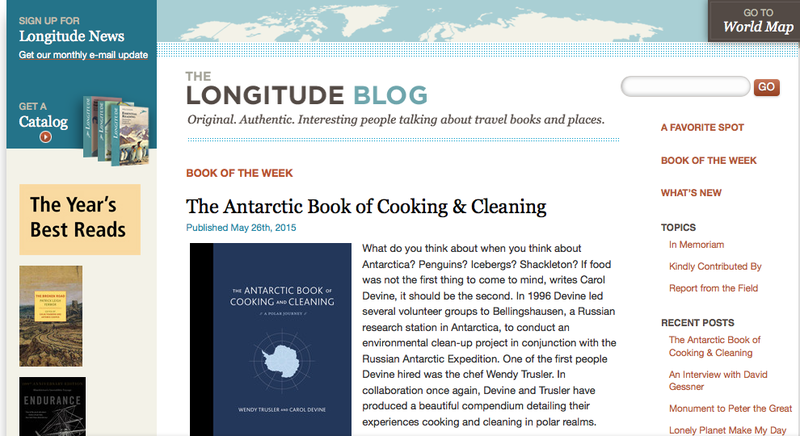 The Antarctic Book of Cooking and Cleaning is designed in the style of historical Antarctic publications, such as Ernest Shackleton’s handmade Aurora Australis. It’s a miscellany of packing lists and plans, menus, journals, recipes, letters and photographs that give the reader a full understanding of what it was like not only to plan and execute an expedition of 50 plus volunteers in harsh conditions – but also to feed them. 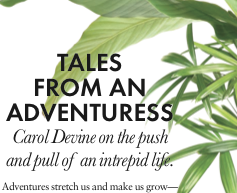 I recently wrote an article for Elle Canada‘s May issue on the theme of Adventure. 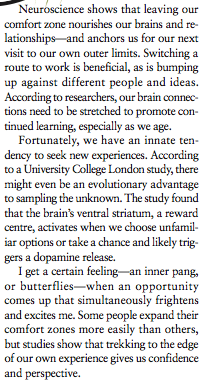 I was pleased they wanted to know about the art and science of adventure as well as defining adventure with meaning. 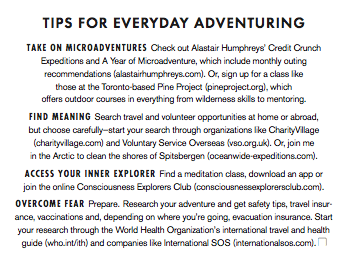 I include a few tips and some worthy initiatives and organizations from The Pine Project and the Consciousness Explorer’s Club to British explorer Alistair Humphrey’s Microadventures (they can be near by and cheap). At a recent talk with Jane Goodall, someone in the audience asked her if she has any regrets. I loved her answer, “No. There are times I could have gone this way or that, but each action is what brought me here. I’m here, aren’t I.” Her wisdom reminds us not to sweat mistakes or trip-ups as so often they’re the path: the adventure, the lessons and the experience get you to where you should be, or at least, where you are (sometimes the stones on the path may be brutally sharp but pain subsides, we heal, we grow). 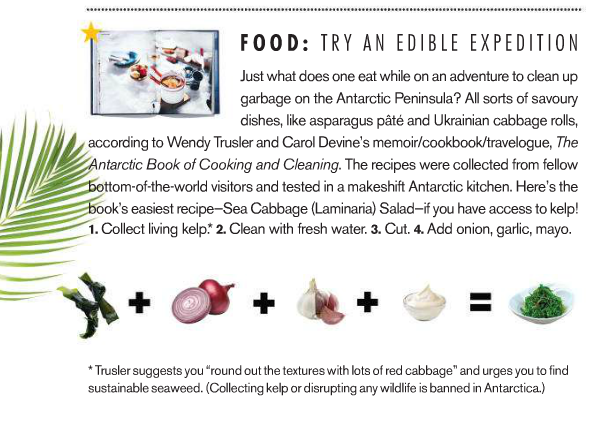 As Elle was doing this adventure package and as Wendy and my book is about to launch May 5 so they said lets include a recipe also in the magazine – I’m not surprised at their choice of the recipe Wendy herself adventurously collected in the Antarctic, “Sea Cabbage (Laminaria) Salad” (amongst 41 other fabulous international recipes and tips).